The Museum recently celebrated its 122nd year—a year highlighted by an extraordinary schedule of international exhibitions, the acquisition of important works of art, and screenings of important films from around the world. The Museum acquired more than 1,000 works, including Marianne Loir’s Portrait of a Man Seated at a Desk, now on view in our European galleries. Last year’s stunning exhibition of renowned photographer Robert Adams, The Question of Hope, led to the purchase of 69 photographs exploring the Oregon coast and the impact of clear-cutting. Featured in the 2013 Contemporary Northwest Art Awards, Anne Appleby’s Requiem for a Ponderosa Pine became a part of our Center for Northwest Art. And the acquisition of Luo Jianwu’s Rock like a Cloud became our first significant purchase of contemporary Chinese art. Contemporary artist Mark Grotjahn gave Untitled (Tuscan Red and Chantreuse Butterfly) to our permanent collection. And we added William Hogarth’s celebrated series of prints, A Rake’s Progress, which will be featured in the upcoming exhibition David Hockney: A Rake’s Progress. Last year a private donor’s generous gift after our New for the Wall event allowed us to commission a Chilkat Robe by artist Clarissa Rizal. The Resilience Robe was completed last spring and the robe was celebrated and danced in at the Sealaska Celebration before being presented to the Museum. This biennial festival is one of the largest gatherings of Southeast Alaska Native peoples, bringing individuals, families, clans, and communities to participate in traditional arts, song, and dance. Last year, the Museum presented more than 30 exhibitions, including Cyclepedia; MAN/WOMAN: Gaston Lachaise; Samurai! Armor from the Ann and Gabriel Barbier-Mueller Collection; Venice: The Golden Age of Art and Music; and The Art of the Louvre’s Tuileries Garden. The Masterworks | Portland series continued with the presentation of Francis Bacon’s Three Studies of Lucian Freud, drawing thousands of visitors to see this important work by one of the 20th century’s most important artists. The Northwest Film Center screened more than 400 films, bringing important works from around the world to more than 80,000 people. Visiting artists presented their films through numerous festivals, including the Portland International Film Festival, Northwest Filmmakers’ Festival, and Portland Jewish Film Festival, and in series such as Human Rights on Film, Reel Music, Japanese Currents, and Northwest Tracking. The Museum’s ability to fulfill its mission is made possible through the generous support of donors and lenders, and a committed membership. Last year, the Museum ended with a surplus and reduced its debt by $1.4 million. The Museum’s debt will be eliminated during this fiscal year! The endowment grew, ensuring long-term support for core positions and programs. View donor list. The Museum has a diversified funding base, and last year 35 percent came from contributions and grants, 30 percent from investments, and 21 percent from admissions and memberships. 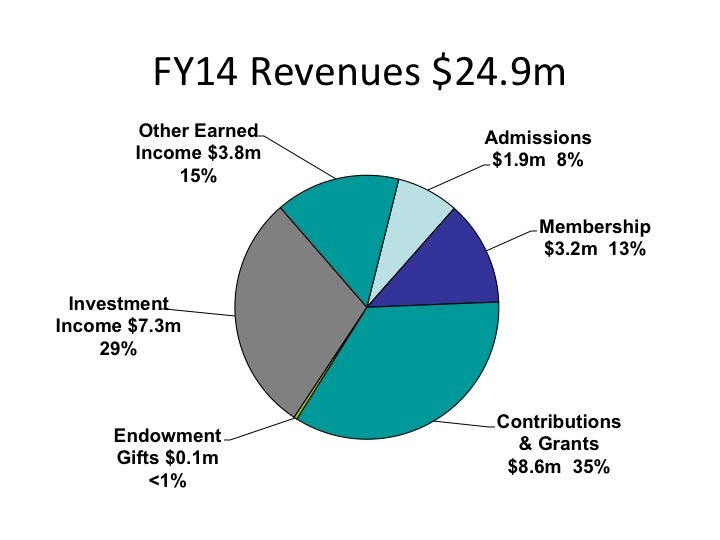 Membership revenue plays an important role in supporting the Museum. 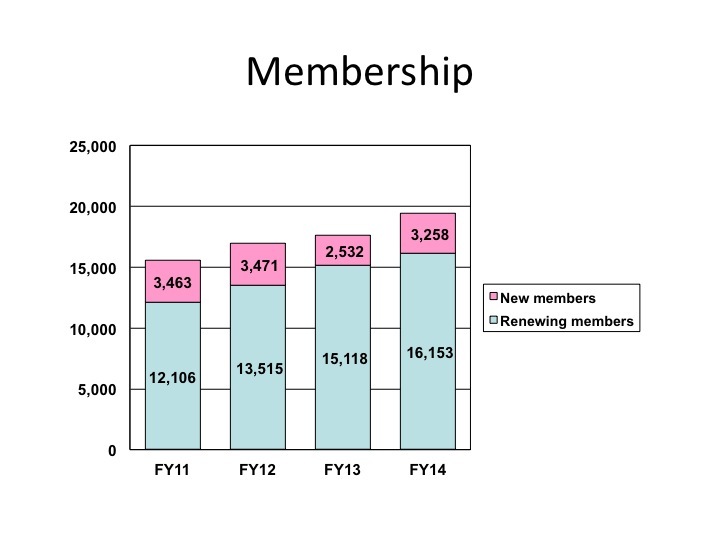 Last year the total number of members grew, along with the percentage of renewing members. 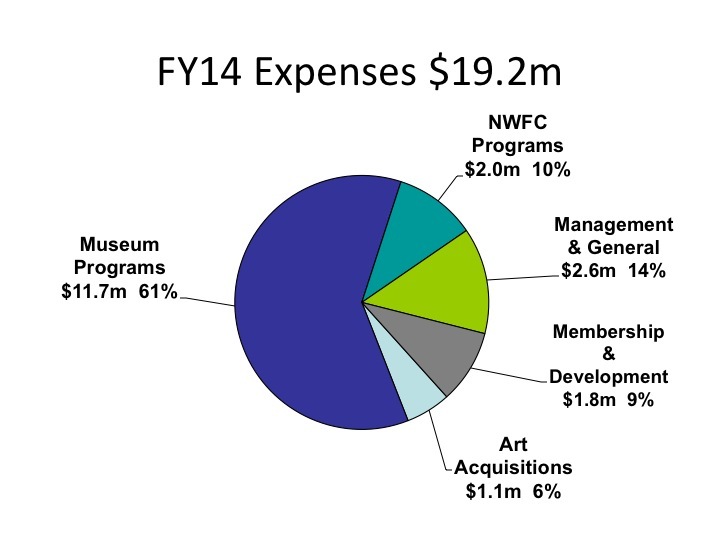 The majority of expenses were used in support of Museum and Film Center programs and to acquire and preserve art. 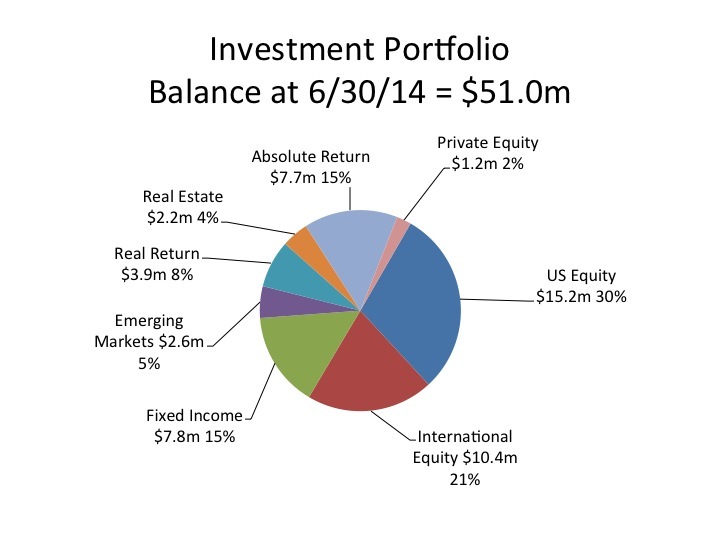 The Museum’s audited financial reports and 990 tax returns are available online.